For the Anishinaabe people, Grandmother Moon is a central figure. She is ever-present and she makes 13 appearances throughout the year. Grandmother Moon’s intention is to watch over Mother Earth’s children and to light up their paths. Because of her importance to the Anishinaabe people, the Royal Canadian Mint has decided to make 13 coins in her honour- one for each of her appearances. In case you would like to add them to your valuable collection, you can easily order some of them or even the whole set. Just be quick about it since the mintage is limited. Even though all of the pieces of the set are extraordinary, we have chosen to pay special attention to these two coins. When it comes to Little Spirit Moon, it can be seen during December. This is the twelfth moon of Creation and it represents a time of healing. After receiving good health and vision of the spirits, we may walk the Red Road with purest intentions. In addition to this, we may share that positive energy with our friends and family. The coin features a full moon behind a leafless tree on the right. On the left, there is a man gazing down the Red Road and carries his prayers to the Great Spirit. On the other hand, when the Big Spirit Moon is in question, you should know that the purpose of it is to purify us. It is the thirteenth moon of Creation and it implies that you should go through a spiritual journey and heal yourself. This process should last for three months and during that period of time, you receive instructions on the healing powers of the universe. On this coin, there is also a depiction of a full moon and a leafless tree. Besides this image, there is a woman with an infant in her arms while a feather is purifying it overhead. From the feather, the healing energy of the universe flows with a luminescent glow. As we have already mentioned, the Thirteen Teachings From Grandmother Moon collection consists of 13 parts. Each of these coins illustrates a different appearance of the Grandmother. For example, Bear Moon can be seen in February and, during that time, we discover how to see beyond reality and how to communicate through energy instead of sound. Also, there’s the Raspberry Moon which appears in July. It symbolizes great changes and during that period, we learn gentleness and kindness which help us go through difficult periods. In addition to these, October is the time when the tenth moon of Creation can be seen – Falling Leaves Moon. Namely, Mother Earth is, at this point, honoured with a great variety of colours. All of Creation makes offerings to her and, because of these miracles, our spiritual energies are again awakened. If you happen to be an art collector who wants to learn about the Anishinaabe culture, this set would be a great choice. You will have an opportunity to enjoy this exceptional series with beautiful and vivid depictions. The artist who has created these captivating images is Frank Polson. The obverse of the coin features the effigy of Her Majesty Queen Elizabeth II, which is the work of Susanna Blunt. Plus, you will have an opportunity to receive a collector case – it will be a perfect place to keep these works of art. On the other hand, you will need to make a decision quickly since the Royal Canadian Mint has placed only 4,000 pieces on the market. 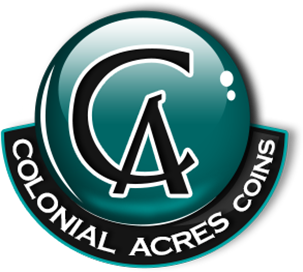 Contact us at Colonial Acres Coins today to order yours and to see more amazing coins for your collection.